This Maldives Hotel Is About To Open A Villa Underwater. The Conrad Maldives Rangali hotel has recently announced plans that may appeal to visitors who wish to experience life underwater. 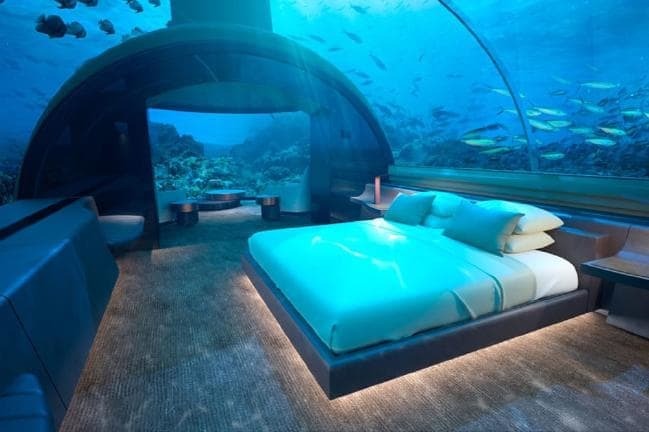 The hotel is planning a new underwater villa, which will allow hotel guests to live, breathe, and sleep beneath the surface of the crystal clear Indian Ocean waters. The new plan for the villa, which can hold up to nine guests, will feature levels both above and below the water, and guests can later enjoy a meal in the hotel’s underwater restaurant. Already in existence, the hotel restaurant gives guests a view of the manmade coral reefs which will also feature inside the villa. 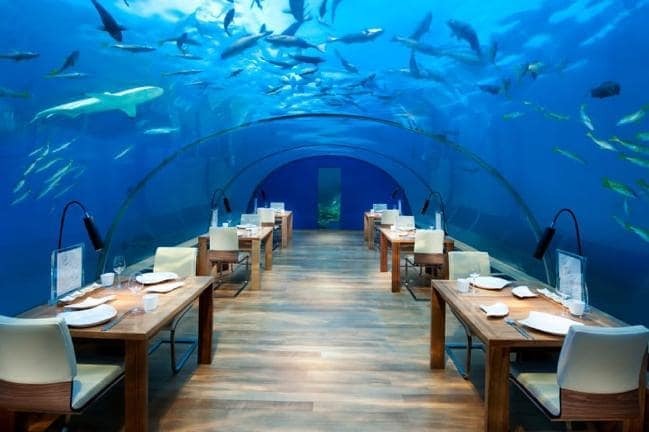 The Conrad Maldives Rangali Island restaurant was the world’s first underwater sea restaurant and offers a wide range of seafood sourced from the outside waters. Moreover, the villa includes an inclusive living room, kitchen, gym, and a butler’s quarters and bathrooms. 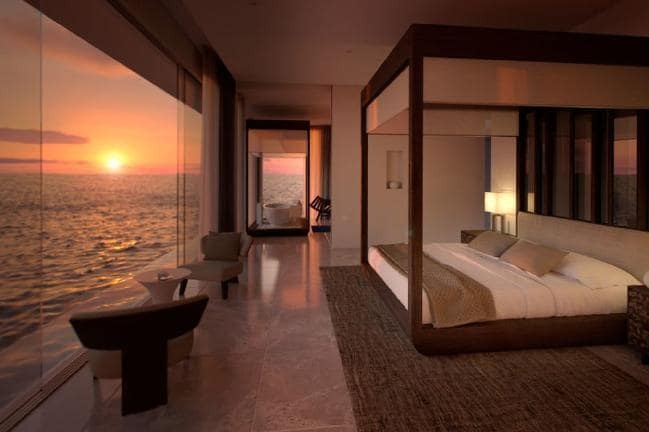 Essentially, the villa is a floating mansion that gives people an experience they couldn’t have on the mainland. This new plan of an underwater villa is paving the way for a new standard of hotels, where they build down rather than up, allowing for more coastal rooms in the future. Moreover, just as everyone hopes to experience when visiting the Maldives, a sunset is a must, and staying at this villa is no exception to such a view. With decking on both sides of the futuristic structure, guests can take their pick of which direction they wish to get a glimpse of the sunset. However, this concept of living underwater isn’t new, and Dubai is set to open The Floating Seahouse residences in due course. To live in one of these villas, and experience living underwater for longer than the duration of a vacation, it will set you back an incredible $4 million.